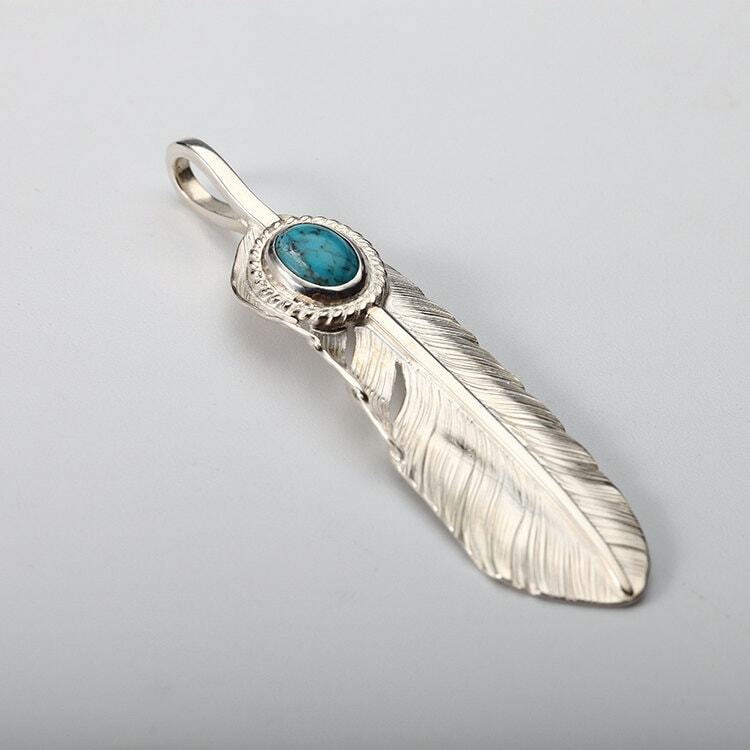 A silver feather pendant inspired by Native American art and jewelry designs. 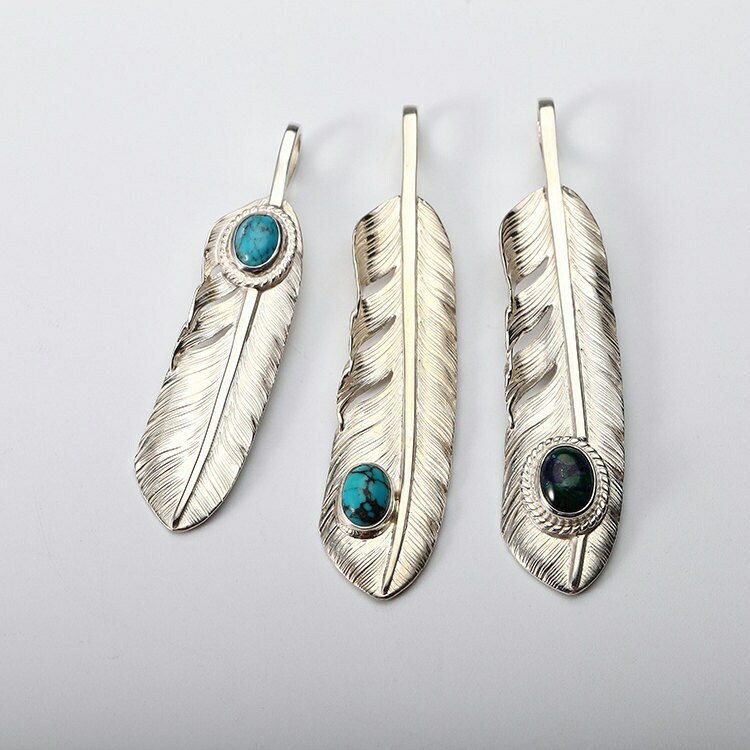 Created in the pattern of a bald eagle feather - with fine details and intricate craftsmanship. 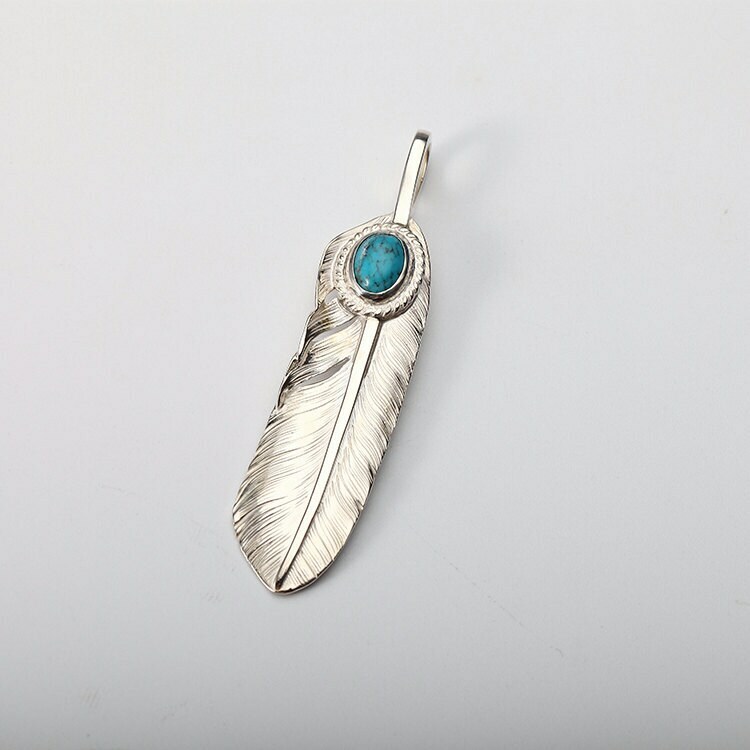 A single natural turquoise gemstone is studded at the top - the oval stone is set on a twisted silver wire base. 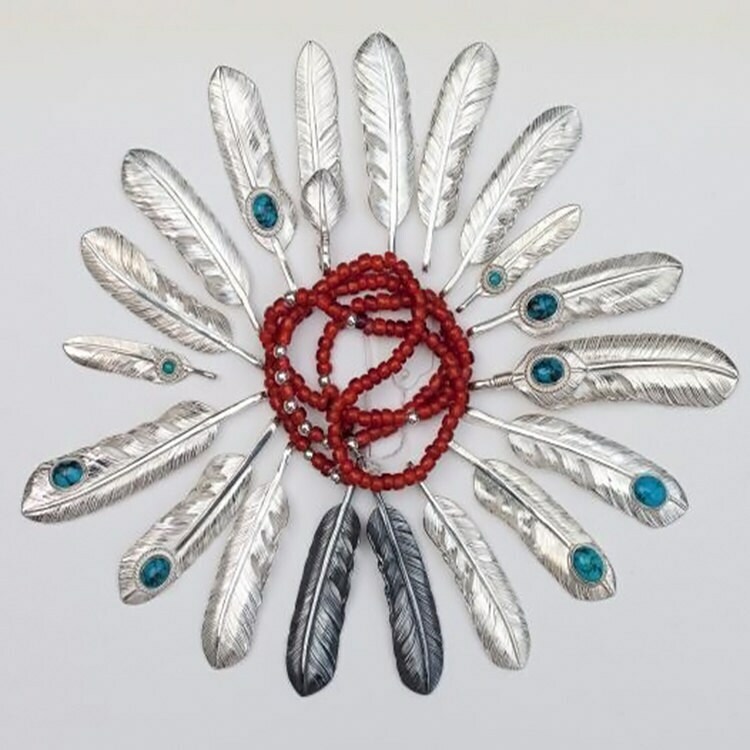 This adds texture and color to the plain gray shine of the silver feather. 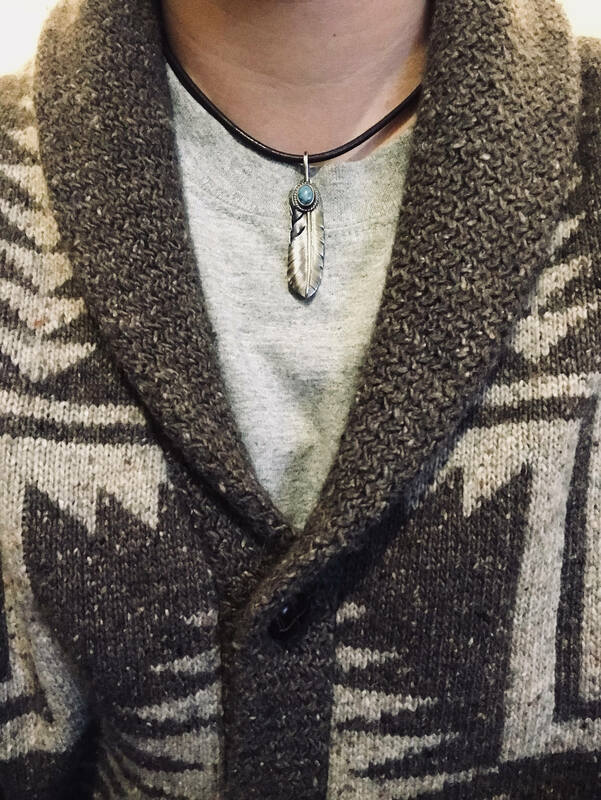 The pendant is available in two different finishes - original polished, and vintage oxidized. 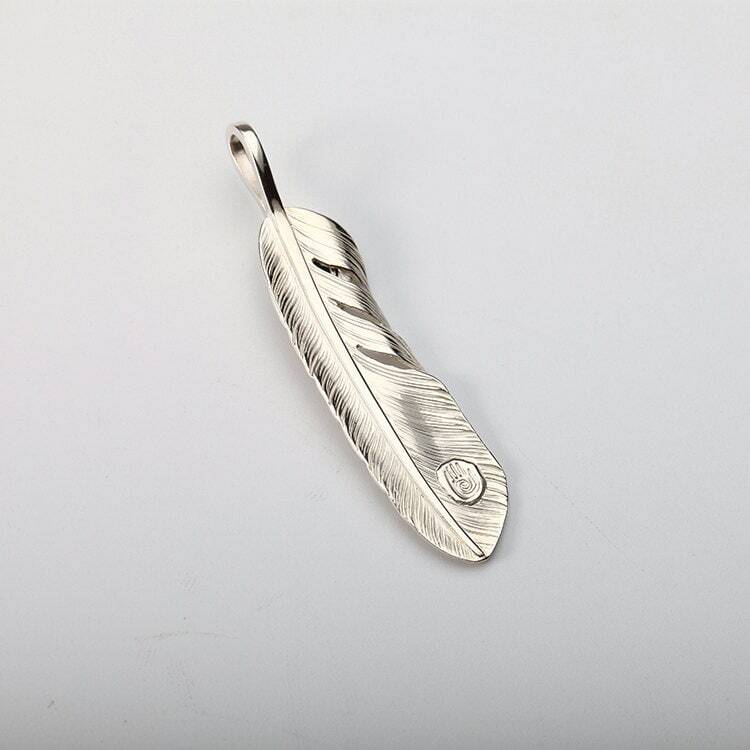 Wear the feather pendant solo on a plain silver chain, or add it to a necklace to build it up - the feather charm looks beautiful either way. The quill is designed as an aperture to take the chain - it is large enough to accommodate chains up to 4mm thick. This workshop always keeps making a lot of great items. so beautiful !! love it!! Thank you all!!! !